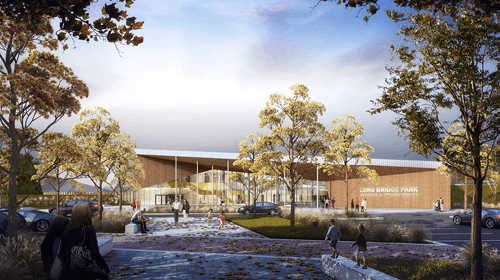 MJMA was part of the Design Build team of Coakley Williams / PAGE, shortlisted as finalists for the design ofr a new Aquatic Center and Park in Arlington County, Virginia. Click on the image above to check out the designs from all the teams. 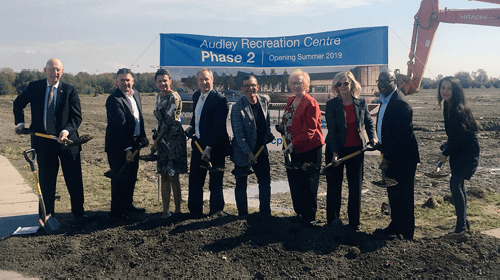 Phase 2 of the Audley Recreation Centre contains a new public library, fitness centre, and twin-pad arena, all designed to connect efficiently and seamlessly into the Phase 1 building. Phase 2 is slated to open Summer 2019. (Photo by Town of Ajax). MJMA + MTa wins three 2017 ARIDO Awards! 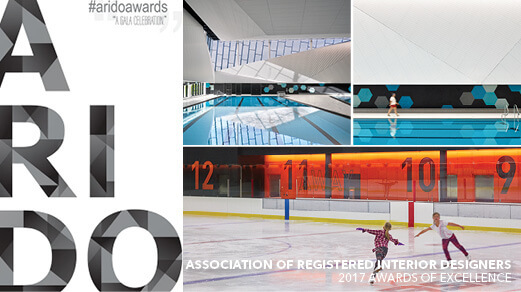 MJMA + MTa win three 2017 Association of Registered Interior Designers of Ontario (ARIDO) Awards for Emerald Hills Leisure Centre, Emerald Hills Leisure Centre Specialty Elements, and Great Plains Recreation Facility. 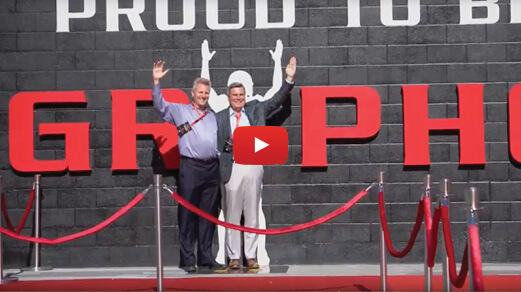 Click on the image above to view a video of the grand opening of the University of Guelph Gryphons Alumni Pavilion on GryphonFootball's YouTube Channel. 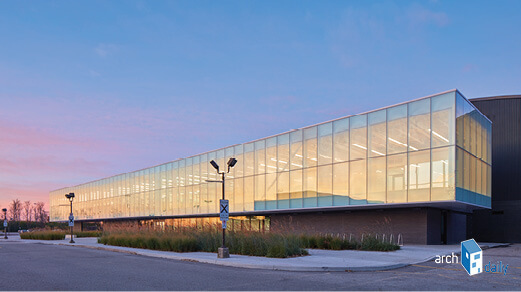 Jury Comment – "The connectivity to ice, coupled with natural light from above, creates a vibrant social center in the facility." Click here to read full article. Jury Comment – "Authentic, inspiring and timeless. 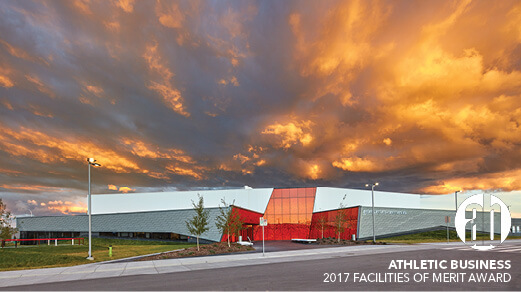 Tremendous adaptive reuse and expansion, creating wonderful light-filled recreation environments." Click here to read full article. 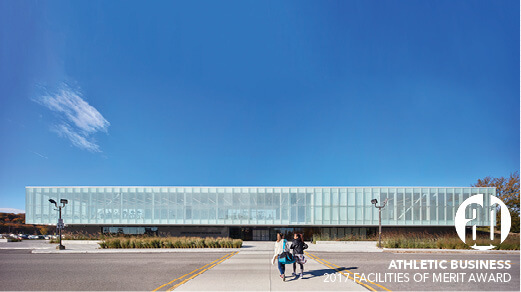 Jury Comment – "Extraordinarily careful integration of mechanical and electrical systems, and the minimalist, white interior palette allows the blue hue of the pools to be the primary color and the main performer of the natatorium." Click here to read full article. 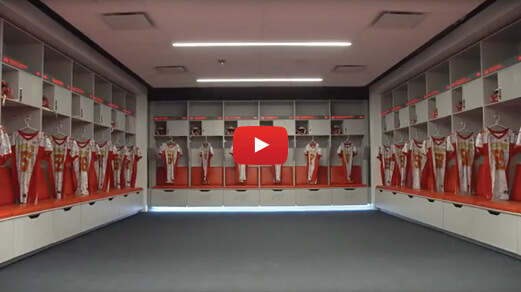 Click on the image above to view a video of the new locker rooms at the Guelph Gryphons Alumni Pavilion on GryphonFootball's YouTube Channel. 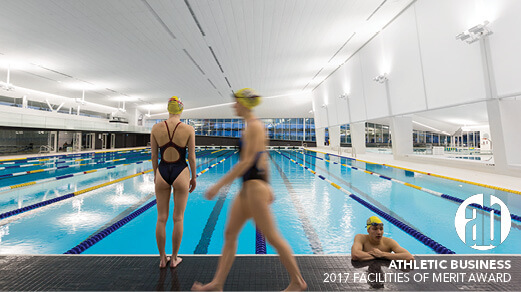 UBC Aquatic Centre is featured in the article titled: How to Combine Community use and Competition in Aquatic Centres. Click on image above to read the full article by Ted Watson. MJMA receives a 2017 TUDA Award! 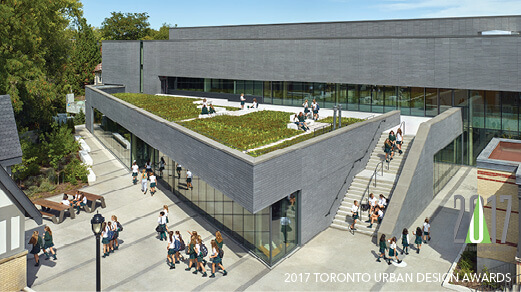 MJMA wins a 2017 Toronto Urban Design Award (TUDA) Award of Excellence in the category of Private Buildings in Context - Low-Scale for Branksome Hall Athletics and Wellness Centre. Click on the image above to read more about this project on ArchDaily's website. Click on image above to read the full article by Rob Walter of WTI and Alex Chou of AME.